A new project focusing on Sustainable Oceans, Livelihoods and food Security Through Increased Capacity in Ecosystem research (SOLSTICE), aims to strengthen the ability of the nine Western Indian Ocean nations to address the challenges of sustainable management of marine resources. Over 100 million people in the Western Indian Ocean (WIO) live within 100 km of the sea, with a significant proportion employed in local fisheries. This leaves the region highly dependent on the ocean for economic stability, food security, and social cohesion. However, sustainable management of marine resources requires reliable environmental and socio-economic information, which can be difficult and expensive to obtain. Key to SOLSTICE is an approach that sees human-natural systems as a whole, integrated entity. Led by the UK’s National Oceanography Centre (NOC) the international SOLSTICE project will combine UK expertise in Earth observation, numerical ocean modelling and marine autonomous & robotic systems, with local environmental and socio-economic expertise and knowledge. Building on existing regional initiatives SOLSTICE will demonstrate its approach through three case studies which have been identified by local partners as research priorities. 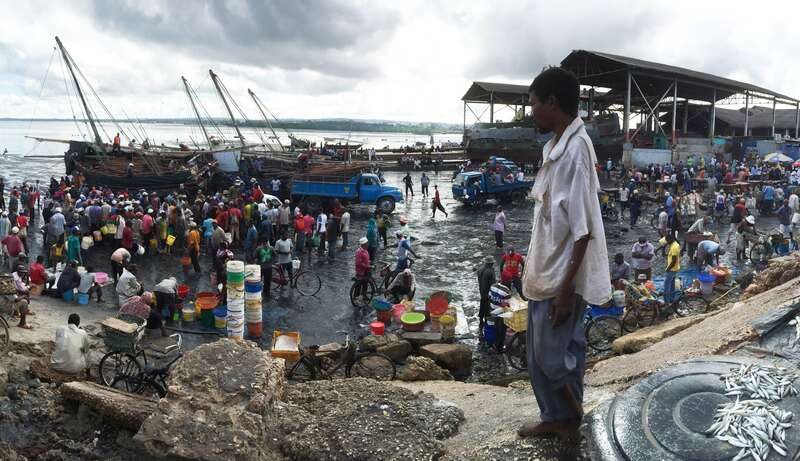 These include the emerging fishery of the North Kenyan Bank, which is the next frontier for food security of the coastal population; the threats and opportunities of climate change to the small pelagic fisheries in the Pemba Channel, Tanzania and; the ecosystem shifts and unexplained collapse of the South African Chokka squid fishery. SOLSTICE will provide the essential support for regional efforts towards sustainable management of these marine living resources. SOLSTICE will increase regional research capability through collaborative research, mentoring of early career scientists and postgraduate students, training courses and on-line education resources for marine professionals. In addition, the project will work with local communities to build on their knowledge and understanding of relevant issues and share scientific information resulting from the research undertaken. Funded by the Global Challenges Research Fund, Research Council UK (RCUK) and the Natural Environmental Research Council (NERC), the four-year SOLSTICE project is a collaboration between the following partners: National Oceanography Centre, Plymouth Marine Laboratory, Scottish Association for Marine Science, Nelson Mandela University, Rhodes University, University of Cape Town, South African Environmental Observation Network, Bayworld Centre for Research and Education, South African Squid Management Industry Association, Western Indian Ocean Marine Science Association, University of Dar es Salaam; Tanzania Fisheries Research Institute, WWF Tanzania, Kenya Marine and Fisheries Research Institute, Coastal Oceans Research and Development – Indian Ocean (CORDIO) East Africa, University of Seychelles, University of Toliara, Mozambique National Institute of Fisheries Research and Imperative Space.